Every time someone asks how old Addie is, I inform them that "she just barely turned one!" And without fail, Brian reminds me later that, she did not just turn one. She's 15 months old this month! And then I cry inside, because HOW CAN MY BABY BE THAT OLD?! Wasn't she just a tiny newborn like, yesterday? Or a chubby little baby that could only roll over? Now she's crawling onto chairs and tables and saying words likes it's no big deal. Ok, like three words, but still. Where did my baby go?? I was scrolling through some of my favorite photos from the last year fifteen months and oh, be still my heart! 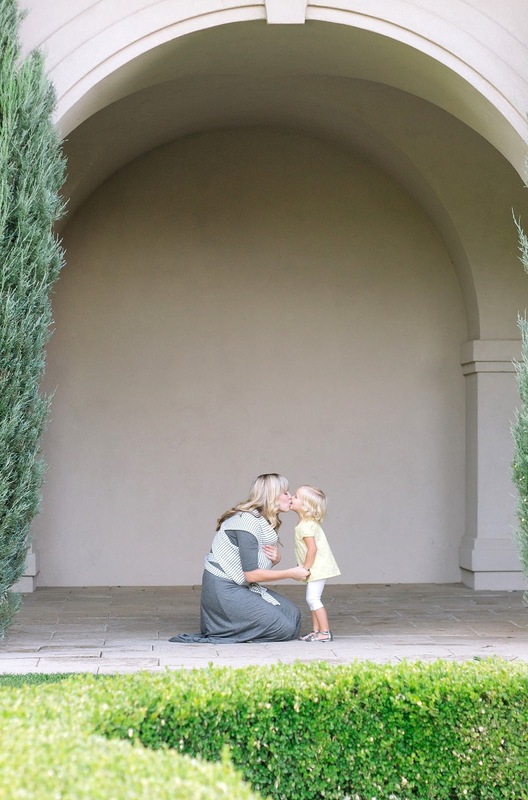 I thought I'd share a few of our favorite photos along with our favorite first year must haves! 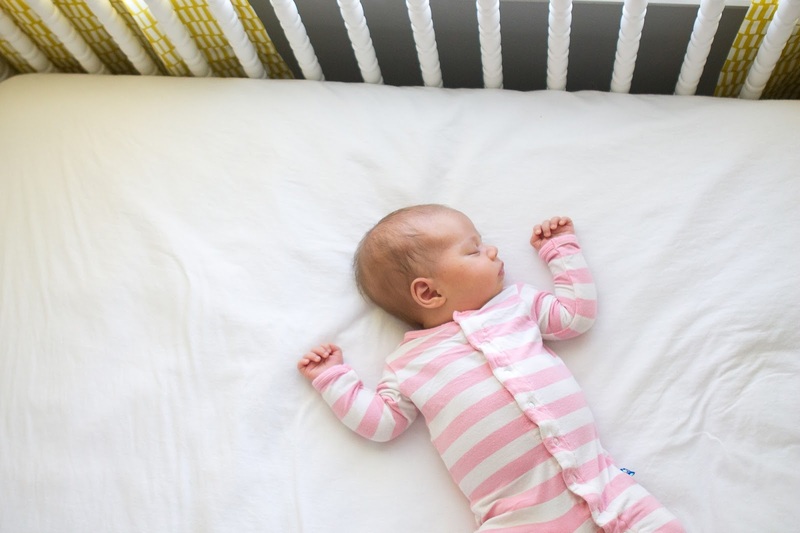 These products are all tried and true, as well as mom + baby approved! 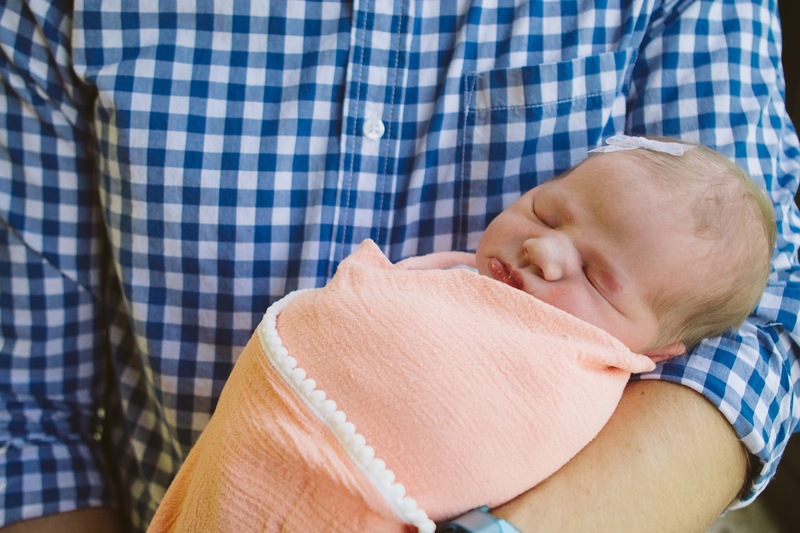 When I was pregnant with both Ellie and Addie, I LOVED reading through these lists, and I hope you enjoy it, too! STROLLERS: I researched strollers A TON before having Addie and after reading so many reviews, I finally broke down and bought the City Select double stroller made by Baby Jogger. I'm happy to say that it's worth all the hype! The seats can face different ways (or you can use it as a single stroller too!) The girls love it! 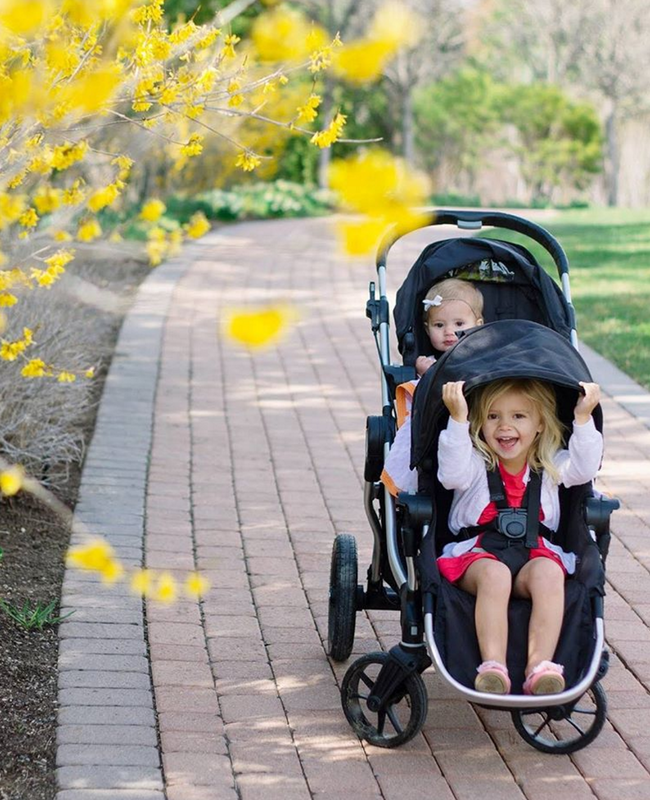 Our other stroller is made by the same company, and it's amazing as well! 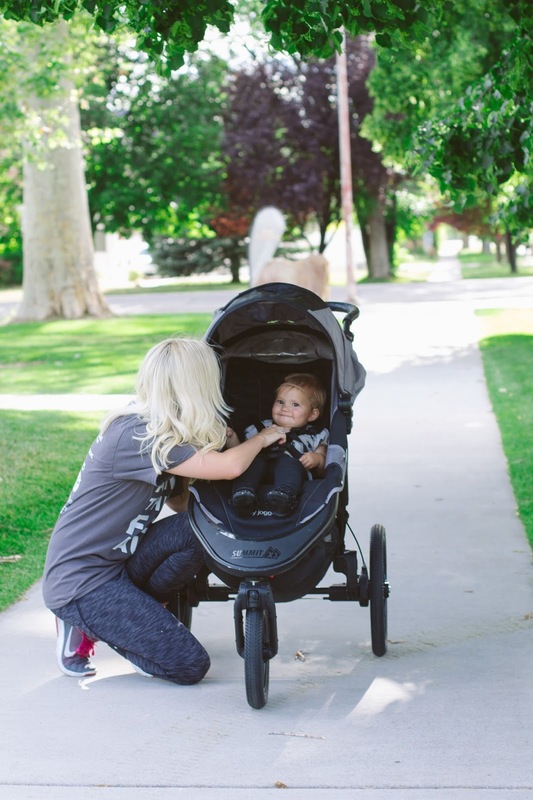 The Summit X3 Hybrid Stroller is super smooth and perfect for working out, going over rougher terrain, or running. We're huge fans of BOTH. 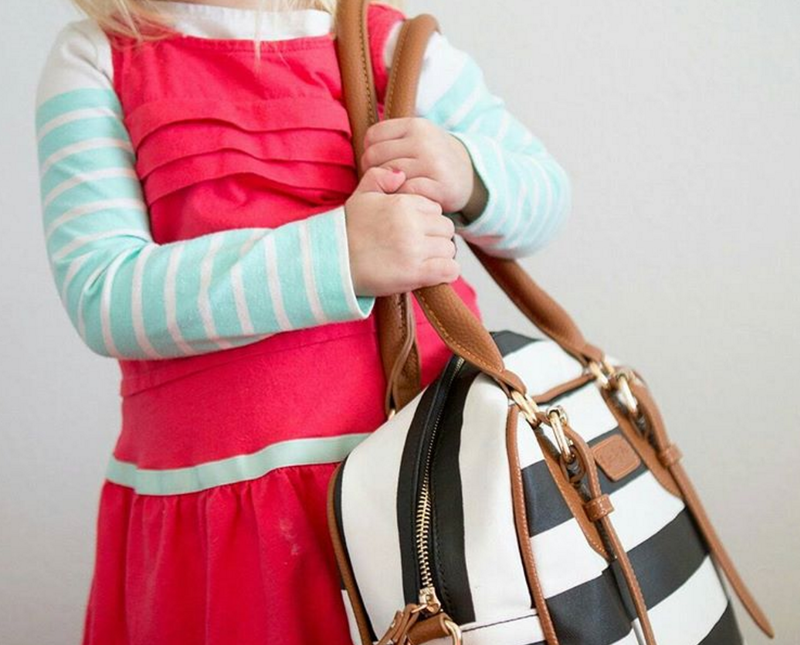 DIAPER BAGS: I have used both THIS diaper bag and also THIS backpack diaper bag - and I've LOVED them both! The black and white stripe one looks like a purse and I love the green interior! The red one is easy to swing on my back and carry around town. Both are HIGHLY recommended! GOING HOME OUTFIT: I always buy my littles a special going home outfit. For Addie, I purchased this adorable striped outfit from Kickee Pants - and it still is ranked high on my all time favorite pieces. 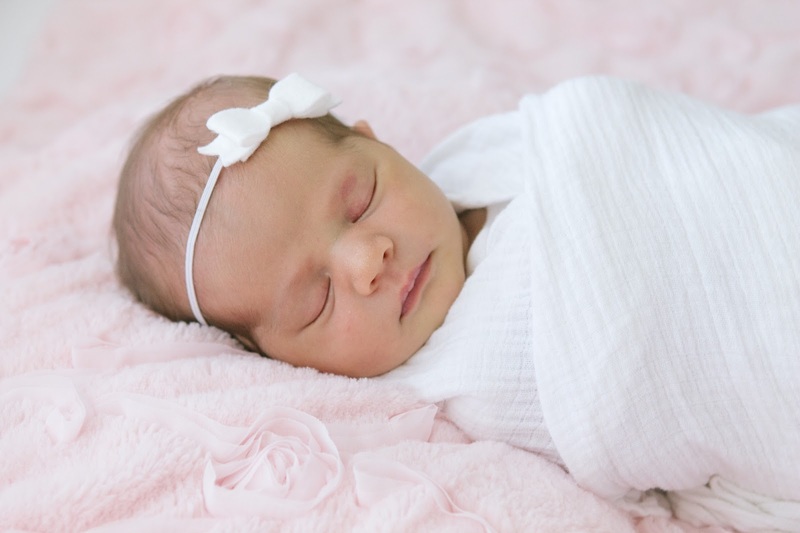 Its incredibly soft and the perfect newborn outfit. 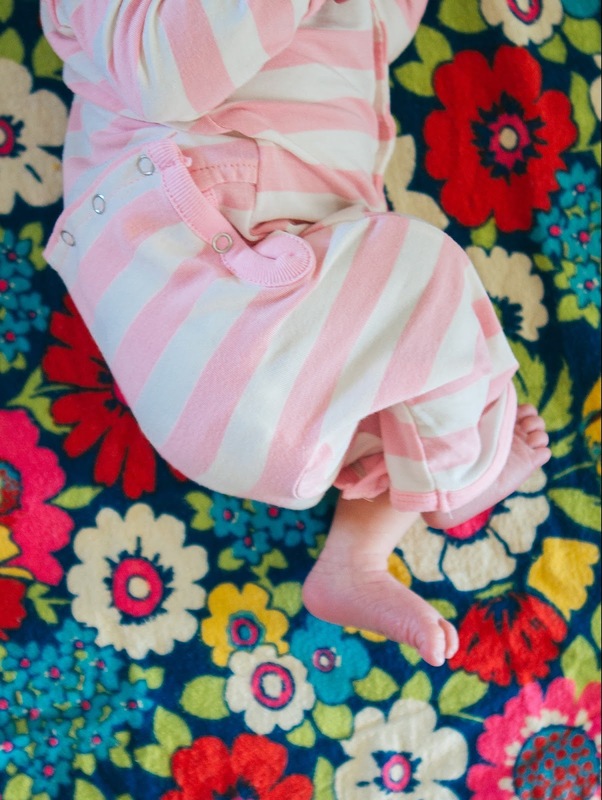 BLANKETS: We have A LOT of favorite blankets but my all time favorite swaddle is this Little Unicorn Poppy blanket. 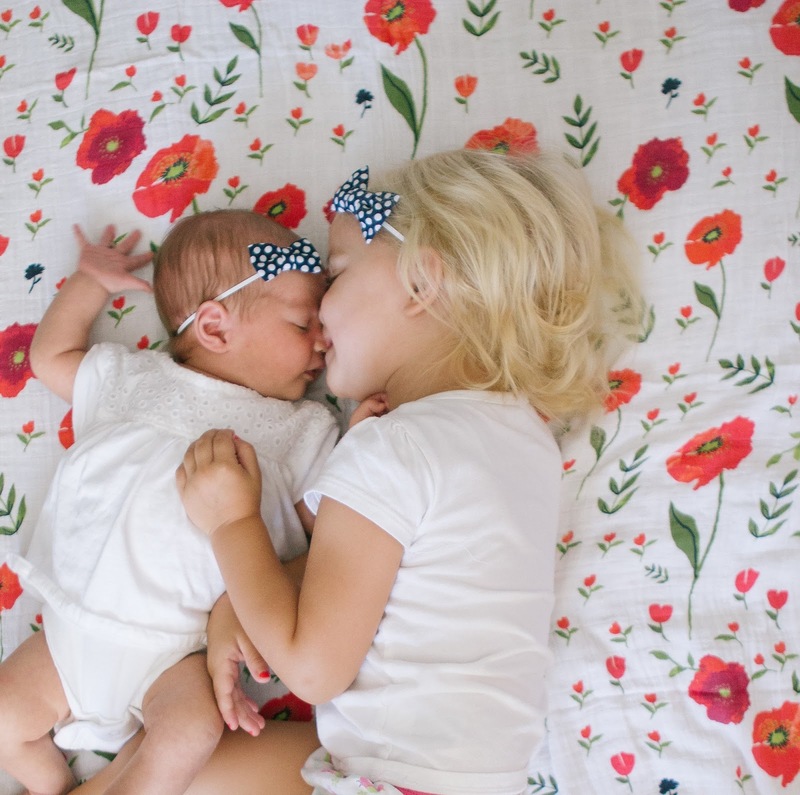 (I even bought the girls matching towels in the same pattern, I love it that much!) Our favorite warmer blankets are from Saranoni - I steal the girl's blankets ALL the time. 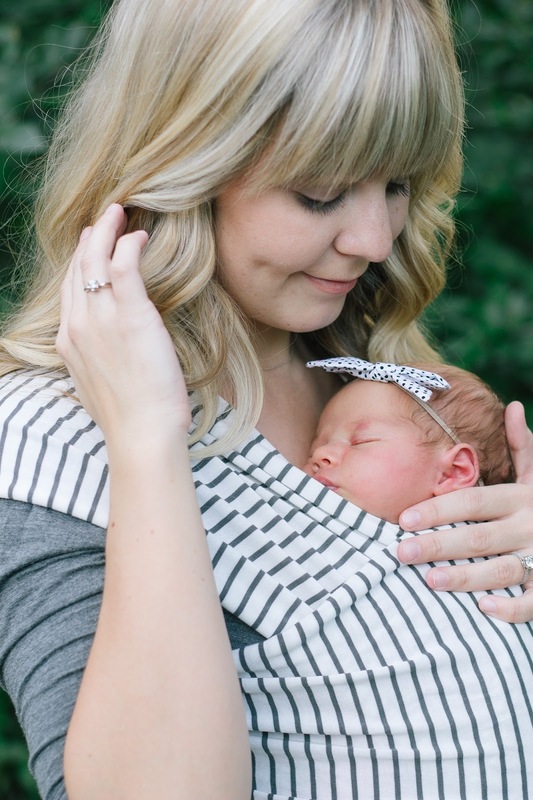 BABY WEARING: This time around, I tried to use my baby wrap from the very beginning and I've LOVED IT! It's been really handy to have my hands free to take care of Ellie and Addie loved being snuggled up close to mom. We've used the Modern Wrap, Stekki Bebe Wrap (perfect for swimming), and a DIY wrap. 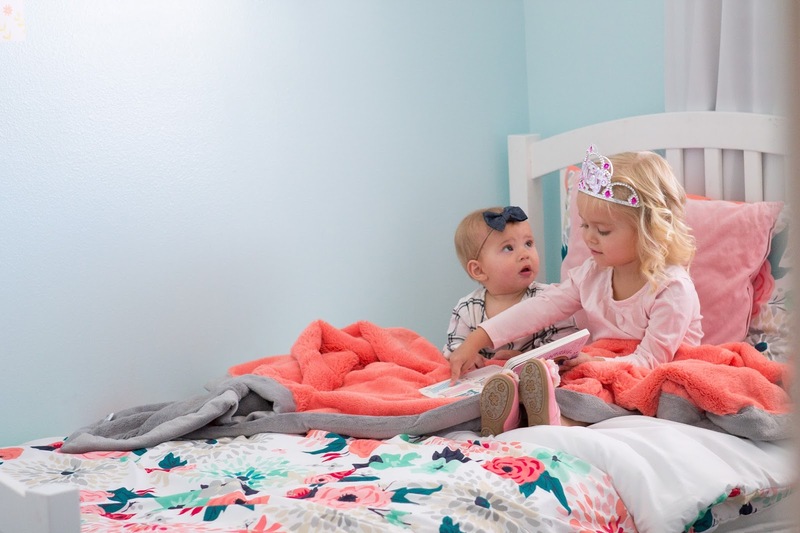 PLAYTIME: We reused most of Ellie's baby toys for Addie - like this adorable play mat. I love that it can be used from the time they're just little until they're sitting and crawling. This leather mat from Gathre has also proved it's worth for playtime. We've used it for snacks and toys and diaper changes. It's easy to wipe off and keeps the mess off our floors. 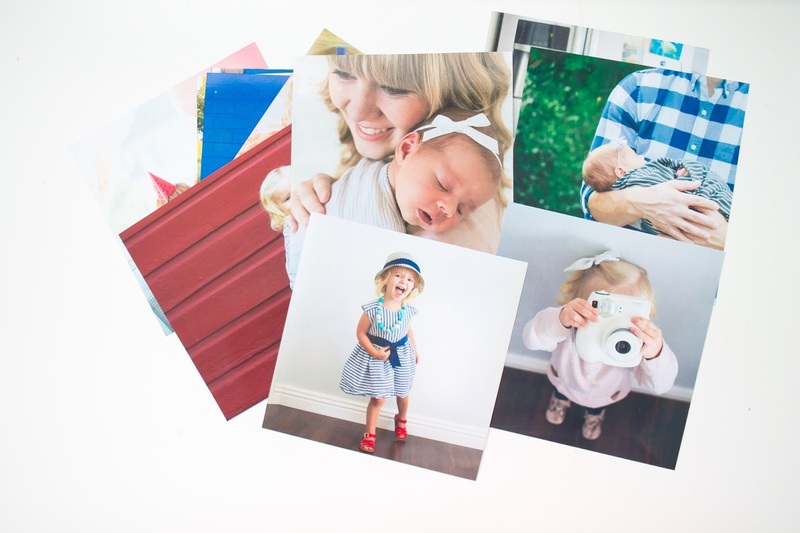 MEMORY KEEPING: I'm a huge fan of Project Life for scrapbooking, but I haven't had a ton of time. Sleep > scrapbooking. Ha! 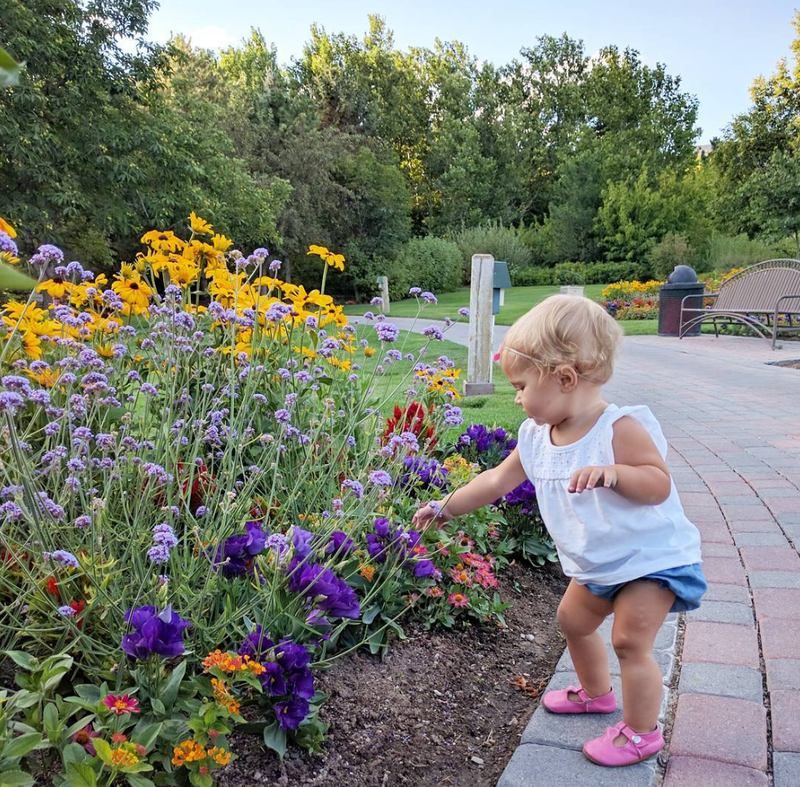 I found a quick, easy way to document Addie's first year of life (!!!) I have been LOVING this Memory Book by Lucy Darling. (There's a boy version too!) It's has the cutest illustrations and it's super simple to fill out. I wish I had one for Ellie, too! Ah. I love it. 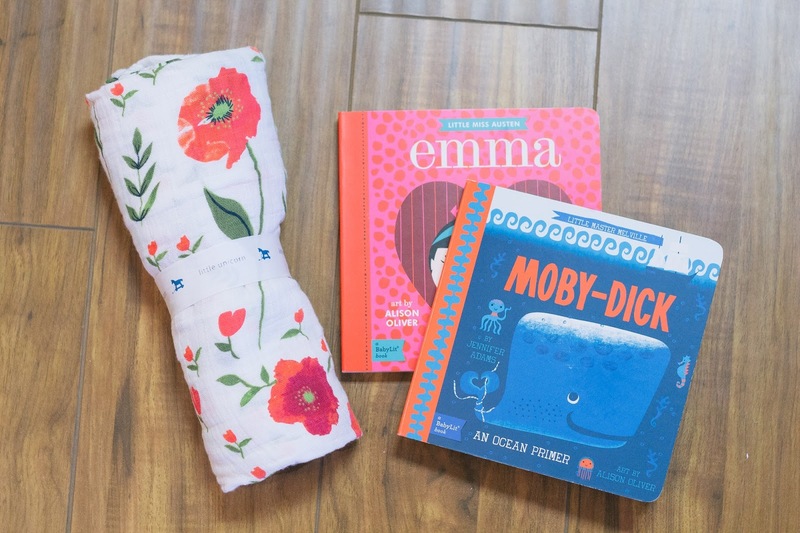 BOOKS: Hands down, these BabyLit books are my favorite. I know they're for kiddos, but they're so cute, I want them out on my ottoman always. The Pride & Prejudice and All Aboard to California books are my two current faves. 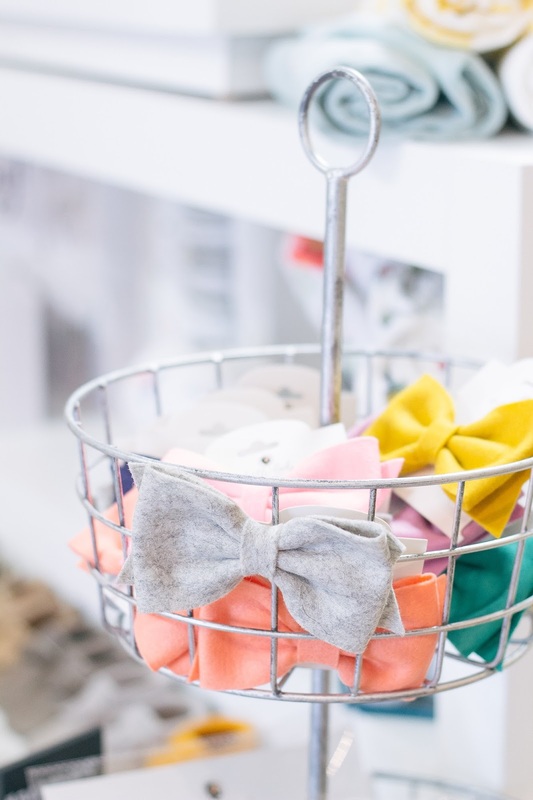 BOWS: It's no secret that I LOVE bows for my girls. We've shared quite a few of our favorites in this post. And we'll share Part 2 of the list soon! SHOES: You already know what I'm going to say, right? Bring on the moccasins! Not going to lie, Brian's not a huge fan of moccs, but I love them because they stay on Addie's feet! 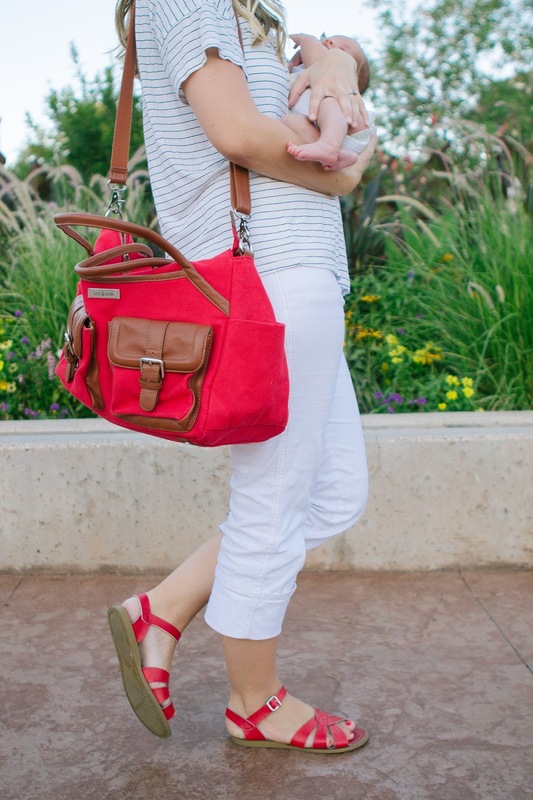 We also love these leather t-strap shoes from Mon Petite Shoes and Saltwater Sandals, of course. My favorite, favorite, favorite place to buy all things baby is at The Baby Cubby. I've mentioned them here a few times because I love them so. And they carry almost all our first year favorites online and in stores! The first time I walked into their store, I was hooked. Probably because it's the cutest retail store I've ever walked into and it's filled with all the BEST things for baby. The Baby Cubby isn't just another baby store, but a team of parents who have been there, done that, and are there to cheer you along! 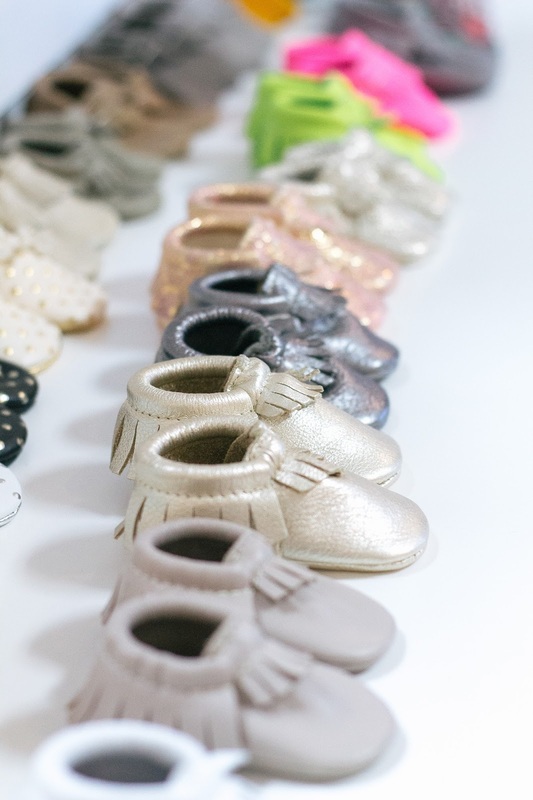 They have the best of the best when it comes to baby gear (they've done all the research for you!) and get this, they PRICE MATCH! (Even amazon!) Now that we're a few hours away, I can't frequently stop in like I used to (insert all the sad face emojis) BUT! My online shopping game is still going strong. ;) Free shipping everyday over $49 and late night nursing reading over on their blog! Now, my mama friends, tell me, what are you first year faves? I'd love to hear what I'm missing from the list! A good double stroller is such a game changer!